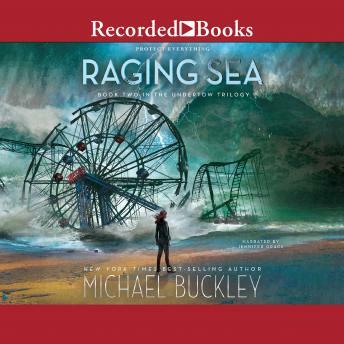 In the first book of Michael Buckley's Undertow trilogy, the Alpha arrived and the world was never the same. At the start of the second book, most of south Brooklyn is in ruins and the nation is terrified. Nearly everyone that Lyric Walker loves is either missing or presumed dead, including the mesmerizing prince Fathom. It's up to Lyric to unite the Alpha before the second wave of a cataclysmic invasion wipes out mankind for good. The Undertow trilogy is an unforgettable reading experience that author E. Lockhart calls, "Allegorical and romantic, the book nevertheless reads like an action movie with especially awesome CGI."